I really cannot find the zigwheels article on the web. Did they remove it? 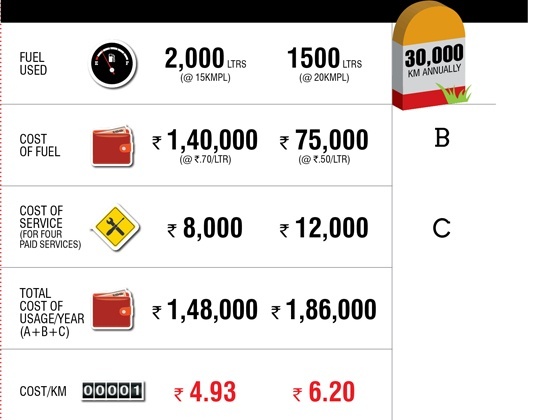 • If we redo the calculation with the actual fuel cost and with 12kmpl for petrol and 18 kmpl for diesel, then the difference for 15K km for first year would be Rs 44300/- for the first year. In that way, we will be the ROI for the diesel will be done in 2 years. 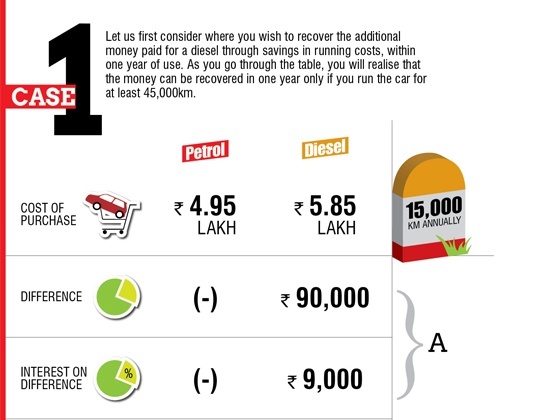 So from the third year Diesel is profitable and the resale value additional value that one gets. 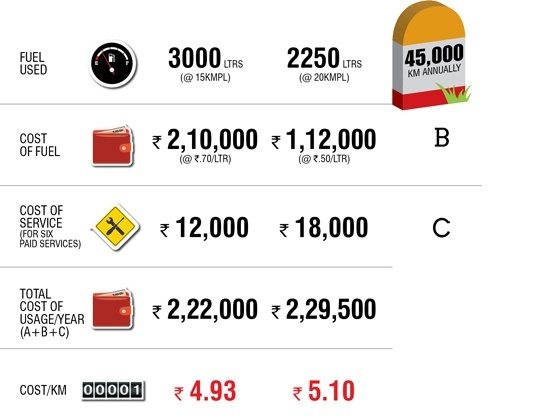 • Similarly with the above point, the 45K km period is not really required for the break-even costs. Only 30K km is required. 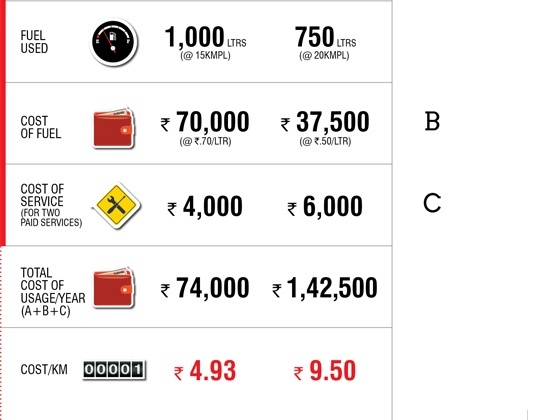 • Remember that all the petrol vehicles are not selling even after raining discounts and hence the automobile manufacturers are pushing different tactics to sell petrol vehicles. I am sure zigwheels has some interest in presenting it this way. • If you sell the diesel car after the break-even period, the difference money between diesel and petrol 2nd hand value is actually bonus. 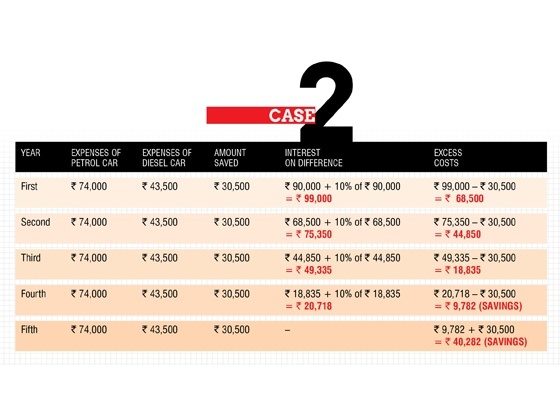 The article seems to cover all the angles, but seems to miss the interest on the difference between running costs of petrol and diesel variants. Shouldn't that be added to the petrol's annual costs?